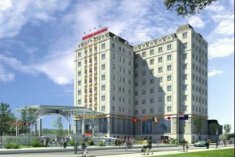 We are going to open Ninh Binh Legend Hotel ( the second hotel) in spring 2010 ( 4 stars hotel) Ninh Binh Legend Hotel is 600 metres from the Ninh Binh Square, close to Trang An Eco- Tourism Complex and Hoa Lu ancient capital. Take the stress out of business in this spacious, full-equipped rooms. We have 108 guest rooms with 11 floors including Superior Room, Suite Room, Executive Suite Room and Deluxe Room, all the room are quiet, with a large window, comfortable and modern. At Ninh Binh Legend Hotel, we have transformed conviviality and comfort into an art form. Our restaurants and bars provide the perfect setting for relaxing and socializing and offer refined French cuisine with the latest in fusion dishes from around the world.